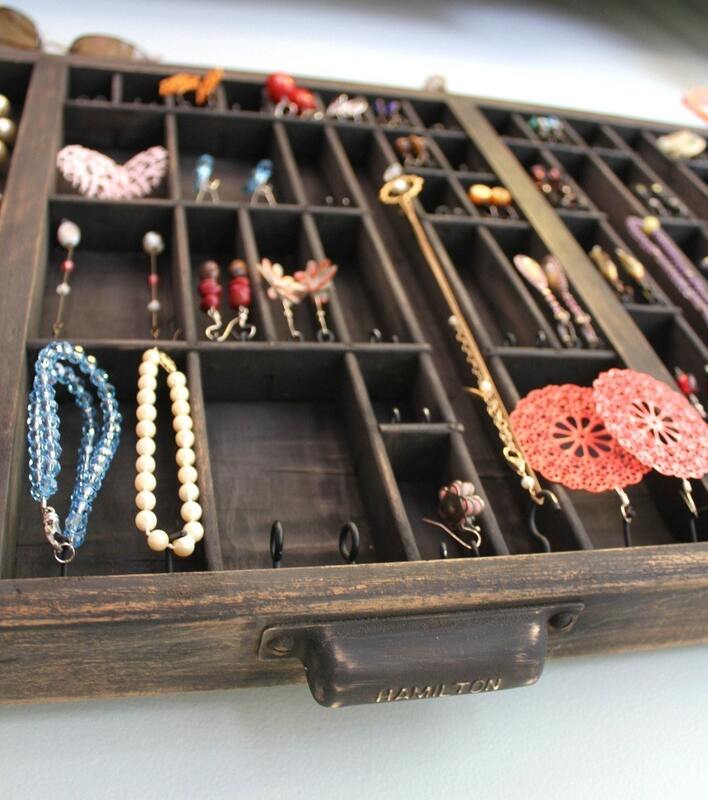 Jewelry organizer reinvented from a letterpress type tray. 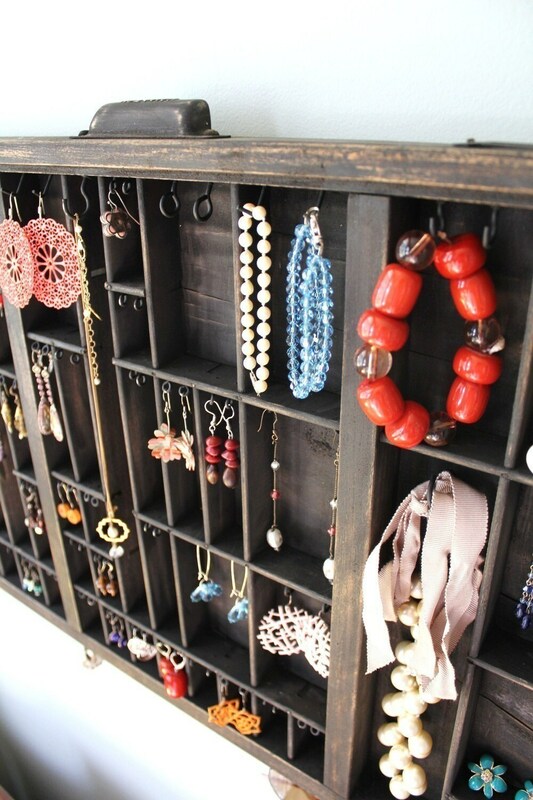 Made to hold all of your earrings and more! 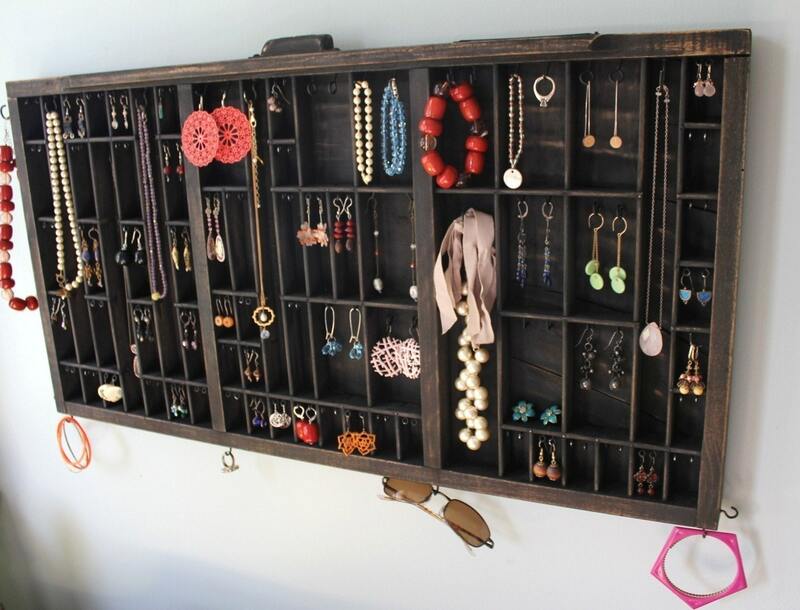 This listing is for a BLACK DISTRESSED drawer that can hold a variety of accessories. Please convo. with all questions... Please convo. with all questions!